No-one's diabetes is the same. the eyes, the kidneys and the nerves. vary considerably from person to person. 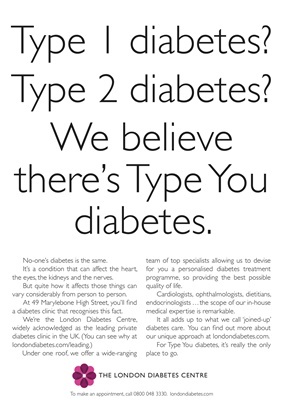 a diabetes clinic that recognises this fact. our unique approach at londondiabetes.com.